FAQ - NioCorp Developments Ltd.
NioCorp's headquarters are located in Centennial, Colorado at the following address: 7000 S. Yosemite Street, Suite 115, Centennial, CO 80112. Our telephone number is 720-639-4647. You can see the distinguished members of NioCorp's Board of Directors here. Who makes up NioCorp's senior management? NioCorp's highly experienced senior management team can be seen here. NioCorp Developments Ltd. is a U.S.-based mineral development company focused on developing several superalloy metals from the proposed Elk Creek, Nebraska Critical Minerals Mine. NioCorp plans to produce three commercial mineral products — Niobium, Scandium, and Titanium — from a single ore body in the Midwestern United States. NioCorp's Elk Creek Project is highly unique. It is North America's only niobium / scandium / titanium project. It is the highest grade niobium project in North America. It is one of the largest prospective producers of scandium in the world. Once in production, it will initiate the first production in the U.S. in decades of Niobium and Scandium. All three of the Project's proposed superalloy metals have been designed as "Critical Minerals" by the U.S. Government. Is NioCorp a public or private company? Where are its shared traded? NioCorp is a publicly company that is listed on both the Toronto Stock Exchange under the ticker symbol "NB" and on the U.S.-based OTCQX exchange under the symbol "NIOBF." Shares are also traded on the Frankfurt Exchange, under the ticker symbol "BR3." To learn more about investing in NioCorp, please visit our Investor Center. Who serves as NioCorp's independent auditor? The Company’s independent auditor is BDO USA, LLP. Where can I find information about NioCorp's Elk Creek Project? You can see information on NioCorp's Elk Creek Project here. Has a Feasibility Study been completed on the Elk Creek Project? Where can I see that? Yes, the Company completed and filed a Technical Report in 2017 related to the Feasibility Study of the Company’s Elk Creek Superalloy Materials Project. Information on the primary findings of the Feasibility Study can be seen here. The full text of the Feasibility Study can be seen here. When is construction of the mine expected to begin? Launch of construction activities on the Elk Creek Project are expected to begin once sufficient project financing is obtained after requisite permits are secured. What permits must the Company obtain to build the Elk Creek Project? All of the permits required to complete construction and begin operations of the Elk Creek Facility are listed in Section 20.3 of the Technical Report in regard to the Elk Creek Project. Section 20.3 of the Feasibility Study can be seen here. Since the filing of the Feasibility Study, the Company has announced that is may not have to secure additional federal permits under sections 404 and 408 of the Clean Water Act, which are shown in the Feasibility Study's listing of required permits. 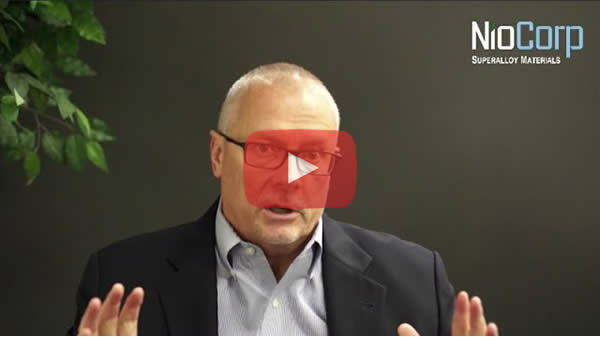 What is a Feasibility Study (FS) and what purpose does it serve? A Feasibility Study is a comprehensive technical and economic study of the selected development option for a mineral project that includes appropriately detailed assessments of applicable Modifying Factors* together with any other relevant operational factors and detailed financial analysis that are necessary to demonstrate, at the time of reporting, that extraction is reasonably justified (economically mineable). The results of the study may reasonably serve as the basis for a final decision by a proponent or financial institution to proceed with, or finance, the development of the project. The confidence level of the study will be higher than that of a PEA. * Modifying Factors are considerations used to convert Mineral Resources to Mineral Reserves. These include, but are not restricted to, mining, processing, metallurgical, infrastructure, economic, marketing, legal, environmental, social and governmental factors. What is Niobium and how is it used? Niobium (Nb) is a chemical element with symbol Nb and atomic number 41 which, when added to steel, makes the steel stronger, lighter in weight, and highly resistant to corrosion. Niobium-strengthened steels are known as High Strength, Low Alloy (HSLA) steels. The commercial version of Niobium that is added to steel is Ferroniobium, which is a mixture of 65% niobium and 35% iron. Ferroniobium represents over 90% of world niobium production. For many applications, such as super alloys and oil and gas pipelines steels, there are no practical substitutes for niobium. You can see more information about Niobium and Ferroniobium here. What is Scandium and how is it used? Scandium (Sc) is number 21 on the periodic table of elements and is a transition metal. It is silvery-white in its metal form and was discovered in 1879 in Scandinavia. It has many different uses. When added to aluminum and other metals, it forms a very strong, lightweight, highly corrosion-resistant material. In its oxide form, it is most often used in the electrolyte layer of Solid Oxide Fuel Cells to increase the efficiency of the fuel cell and allow it to operate at a lower temperature, which helps to increase the fuel cell's operational life. You can see more information about Scandium here. What is Titanium and how is it used? Titanium is a chemical element with symbol Ti and with atomic number 22. Silver in color when it is metal form, it transition metal that features the highest strength-to-density ratio of any metallic element. It is used in wide variety of sectors, including aerospace, national defense, chemical processing, desalination, automotive, health care, communications, sporting goods, and many others. Learn more about Titanium here. Why are these products called "Critical Minerals"? In 2018, the U.S. government released a list of 35 "Critical Minerals" that it believes are critical and strategic to U.S. defense and essential civilian technologies. Included in this list are all three of the superalloy materials that NioCorp plans to produce at the Company Elk Creek Project in southeast Nebraska: Niobium, Scandium, and Titanium. This designation establishes the Elk Creek Project as one of the few polymetallic greenfield mining projects in the U.S. that proposes to produce multiple critical minerals -- and only critical minerals -- and which also has a positive Feasibility Study, a relatively low permitting risk, and very strong state and local support. The list of priority minerals was developed in response to a White House Executive Order of December 20, 2017, which can be seen here. 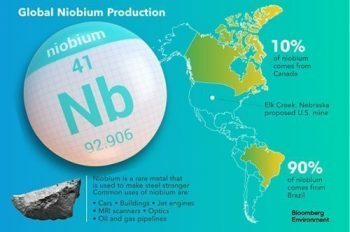 Once placed into commercial operation, the Project will establish for the first time in decades a U.S. production capability for Niobium. It also will establish the State of Nebraska and the U.S. as global leaders in the production of Scandium, a lightweight and very strong metal that has been used for several decades in cutting-edge Soviet and Russian military technologies. The U.S. Armed Forces have been largely shut out from being able to incorporate Scandium in aerospace and other national defense systems because of a lack of available Scandium supply. The final list of Critical Minerals to be published in the Federal Register can be seen here. Why are these products critical to national defense technologies? Niobium, Scandium, and Titanium are all vital to a range of national security and homeland security applications and technologies utilized by all branches of the military. Not only that, but according to the U.S. Geological Survey (USGS), the U.S. is 100% reliant on foreign nations for the niobium and scandium that we use in national defense systems, and is more than 90% reliant on foreign nations for titanium mineral concentrate. 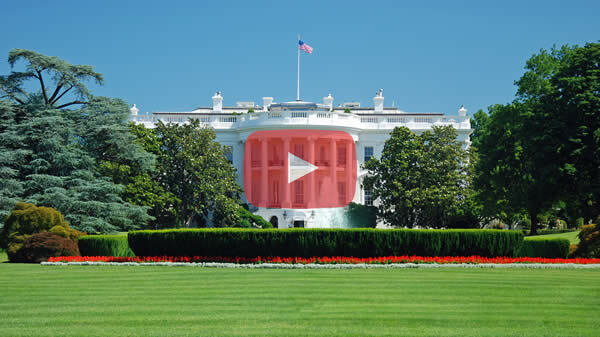 Moreover, the U.S. Government considers niobium such a critical and strategic material that is has purchased niobium and currently stores it in the National Defense Stockpile (NDS) in the event of national emergencies. Only a handful of critical strategic materials are considered so important that they are stored in the NDS. You can see some of the national defense applications that utilize NioCorp's planned products here. Are these materials key to the aerospace sector? Very much so. Virtually every military aircraft flying today utilizes alloys made with Niobium and Titanium. In fact, according to market leader CBMM, the most common jet engine in service today contains about 300 kilograms of niobium. Helicopters, drones, satellites and a host of other aerospace technologies would not fly without one or more of these strategic metals. Scandium is also vital to several defense technologies, and its use is expected to expand significantly when reliable supplies are established (such as in Nebraska). 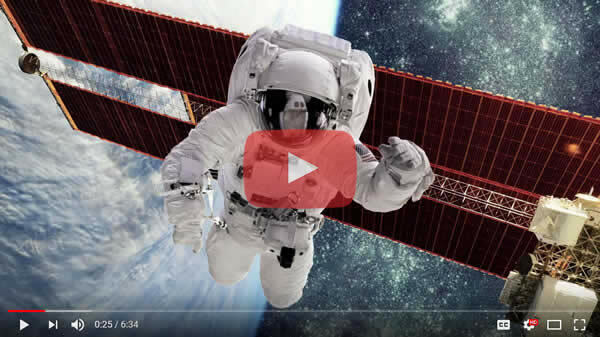 You can learn more about how NioCorp's planned products are utilized in aerospace technologies here. What about their importance to infrastructure projects such as buildings, bridges, airports and other developments? Nations around the world invest in programs to strengthen and expand transportation and other infrastructure systems, increasing attention is being focused on Niobium. Why? Because when added to steel, Niobium makes it stronger, lighter in weight, and highly resistant to corrosion. Niobium-contained High Strength, Low Alloy (HSLA) steel is increasingly used in buildings, bridges, dams, and other large construction and mega-steel projects. HSLA steel highly bridges with Niobium can be designed to last more than a century of use, as opposed to conventional highway bridges that may last only 30-40 years before having to undergo major repair work. Scandium presents potentially revolutionary applications in transportation applications, which play a vital role in the ultimate cost of transportation infrastructure systems. For example, Scandium’s potential to lightweight commercial jetliners, automotive applications, and mass transit systems may have major implications for transportation infrastructure projects such as roads, bridges, tunnels, airports, and other transportation hubs. You can learn more about how NioCorp's planned products are utilized in infrastructure projects here. Are NioCorp's planned products used in the automotive and surface transportation sectors? Today’s cars, trucks and buses are more powerful than ever before. Yet they are also safer to operate, lighter in weight, more fuel efficient, and less polluting than ever before. One of the secrets to this success are superalloy materials like Niobium. Niobium materials are added today to vehicles both to strengthen a vehicle’s structural components (as an additive to steel) and also as an oxide, which is used in glass, electronics, batteries, emissions controls, and other systems. The primary use of Niobium in vehicles is as an steel additive. The increasing use of High Strength, Low Alloy (HSLA) steel with Niobium in modern vehicles has dramatically reduced vehicle weight and increased fuel economy. For example, the World Steel Association has estimated that the addition of only about $9 worth of niobium in an automobile reduces the vehicles mass by 100 kilograms and increases its fuel efficiency by 5%. Those are large improvements with a relatively small amount of this amazing metal. You can learn more about how NioCorp's planned products are utilized in the transportation sector here. Will use of NioCorp's planned products help to protect the environment? I purchased shares of NioCorp directly from the company. How can I have the restrictive trading legend removed from my shares? Your stock broker should be able to assist you with the transfer or other disposition of legend shares. If your broker has questions or requires assistance, he/she may contact the company’s Transfer Agent (Computershare, 1-800-942-5909) or direct an inquiry to info@niocorp.com. What is NioCorp's share price? You can see delayed quotes on NioCorp's current share price on the Toronto Stock Exchange (TSV) and the Over The Counter Exchange (OTCQB) here. Where can I find NioCorp's public filings and financial reports? Quarterly and annual reports and proxy statements can be found in our Investor Center on the website. Filings in Canada can be found on SEDAR here. Filings in the U.S. to the U.S. Securities and Exchange Commission can be seen here. How can I invest in NioCorp? Can I buy common shares directly from the company? NioCorp's common stock can be purchased through a registered brokerage of your choice. Common shares are generally not available for direct purchase from the Company. Who is the largest shareholder in NioCorp? Mark A. Smith, CEO and Executive Chair of NioCorp, owns the single largest number of NioCorp shares. His ownership represents just under 10% of the Company. When is NioCorp's fiscal year end? NioCorp's fiscal year begins on July 1 and ends on June 30. What is a transfer agent, who is your transfer agent, and how can I contact them? A transfer agent is a trust company, bank, or similar financial institution assigned by a corporation to maintain records of investors and account balances and transactions, to cancel and issue certificates, to process investor mailings, and to deal with any associated problems (i.e. lost or stolen certificates). Our transfer agent is Computershare, and they can be reached at 1-800-942-5909. How do I get in contact with NioCorp's investor relations department? Please contact Jim Sims, NioCorp’s VP of External Affairs, at jim.sims@niocorp.com or via phone at 1-303-503-6202. How do I apply for employment at NioCorp? Go here and fill out a form expressing your interest in employment at NioCorp. My company wants to do business with NioCorp. Whom should I contact? Please feel free to send an email explaining your interest to this email address. How do I contact NioCorp's accounting / finance department? You can reach out accounting and finance team by calling 1-855-2-NIOCORP, and selecting option 5.